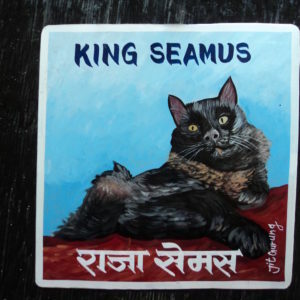 Folk art Black Cats hand painted on metal by sign painters in Nepal. 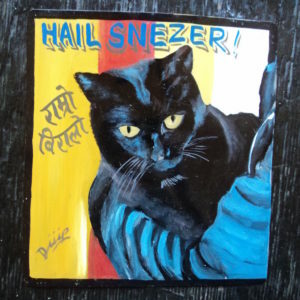 This beautiful portrait of the Black Cat Zia is hand painted on metal. It is one of many at Prudence Designs in NYC. Queenie the Black Cat is hand painted on metal by Shantosh. 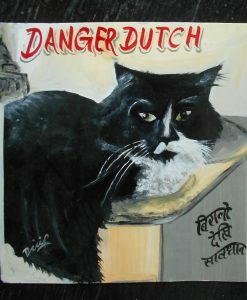 Dilip Niroj hand painted Chimay, the Tuxedo Cat, on metal. 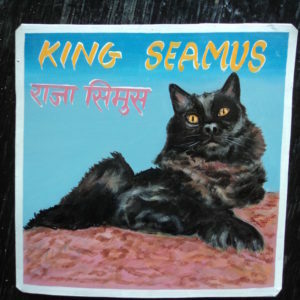 Chimay by Sanjib Rana is a Tuxedo Cat roaming the hills of Ensenada. As with all of Sanjib’s art, this is hand painted on metal with acrylic paint and is not recommended for outdoor use. 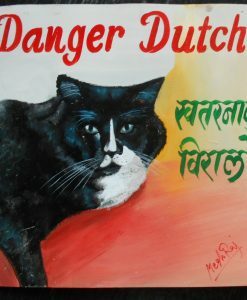 It is also larger than the standard Danger Dog (or Cat) sign at 12″x15″. Demian and Maisie were definitely beloved. In their portrait by Megh Raj, they are backed by what looks like a background of butter pats, a perfect foil to their long haired beauty. 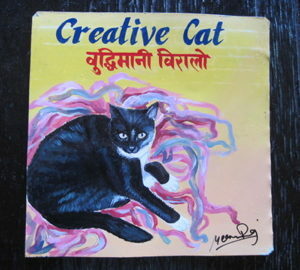 Folk art portrait of a black cat hand painted in Nepal. 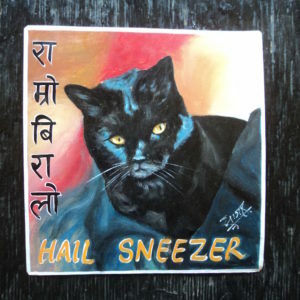 Arwen Evenstar the Tuxedo Cat was hand painted on metal by the sign painter Megh Raj Thapa in Kathmandu. She is creative with her ribbons. 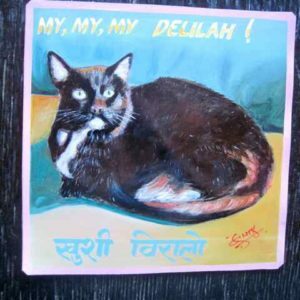 This hand painted portrait of Delilah the Black and White Tuxedo Cat is by the sign painter Sagar Bitsa. It is approximately 12’x12′ and is on metal.